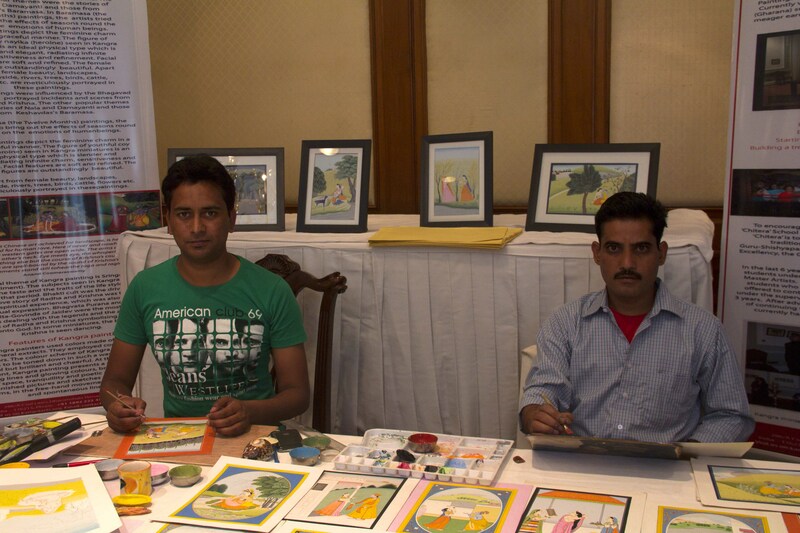 KAPS participated in the 8 days fest to promote Kangra miniature art in front of the guests from all over India and around the world, at the famous Wildflower Hall, Shimla. KAPS got a platform to increase awareness, popularity of the dying art in front of the eminent guests. Among all visitors, there was Major Vijay Singh Mankotia, who appreciated the KAPS artists and their works. All our artists were highly inspired by his appreciation. There were other artisans from all over Himachal Pradesh, to showcase their works in ‘Himachal Hut’ organised by Wildflower Hall. Artists from KAPS are committed to promote this form of miniature art across the world and such platforms are immensely helpful for us.